Bridal – Please email to inquire about dates. To book a preview please call 828-505-4075 to book an in-store trail. Hello! As you may have guessed by now my name is Zack. I am a licensed Esthetician, Makeup, and Airbrush Artist. I am eighth generation appalachian and yes my accent is very much worked on. I grew up in community theater in my hometown of Nebo, NC. There I learned not only how to cover-up my accent but also about “cover-up”. I was around 13 years old when I started learning about makeup and it’s “transformative” properties. In college I studied painting and photography. I still explore my artistic side with painting and multi-media. I am always exploring and pushing my knowledge of color. This is what separates me from most other Makeup Artists. Combining my 8 plus years in the industry with my knowledge of color my clients and I work to create the best look for each event. 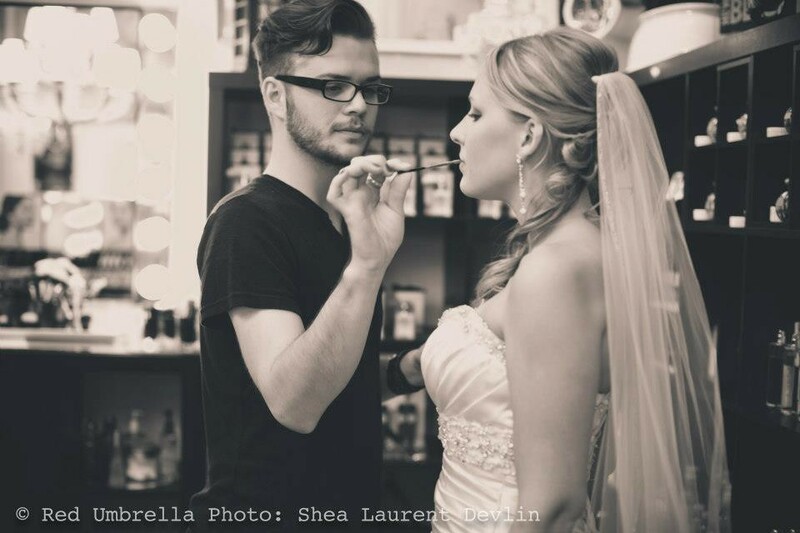 I have worked with many directors, photographers, actors, singers, and brides each one giving me a new perspective on makeup. This for me, is one of the best parts of my job; the collaborative effort in creating a beautiful look. I have had the esteem pleasure working with HGTV, Food Network, DIY Network, International Style Network, The Avett Brothers, Lizz Wright, Elizabeth Kostova, Steve Martin, New York Times, and MANY WONDERFUL Wedding Planners, Directors, and Photographers just to name a few. I hope that I have the pleasure of working with you and your team. Many wonderful wishes to you and your’s. Thank you for visiting.